Google is focusing on making its mobile operating system more secure and in its latest Year in Review, the company detailed exactly how its policies and processes are helping keep Android users safe on its platform. 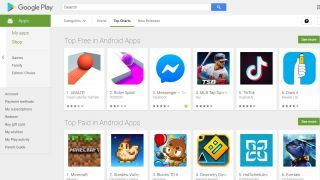 According to the report, “potentially harmful applications” or PHAs for short, made up 0.04 percent of all downloads from the Google Play Store. Last year this figure came in at 0.02 percent and while there was an increase in the number of PHAs found on the Play Store this year, the real reason this figure has increased is due to how Google classifies PHAs. Click fraud was previously classified as a policy violation but now the company has upgraded the severity level of these applications to PHAs. The report found that the two biggest click fraud families were FlashingPuma and Cardinalfall while the US, Brazil and Mexico were the main target countries for click fraud. Though there are some straight click fraud apps, most are flash lights, music and gaming apps designed to hide their malicious intent. Unlike in iOS where apps can only be installed directly from the App Store, Android allows users to install apps from unknown sources. While this can be used by businesses to easily get their app onto consumer's phones directly from their website, it is often used by malicious third parties to install PHAs on user's devices. According to Google, devices that installed apps only from the Play Store were eight times less likely to be affected by PHAs. On the other hand, users that sideloaded apps or installed them from third-party app stores, were more likely to install a PHA. Google's report also highlighted the fact that using a newer version of Android could help protect users from PHAs. While Android Lollipop had a PHA rate of 0.65 percent, newer versions of its operating system such as Android 9 had a PHA rate of just 0.18 percent. Now that Android is installed on over 2bn devices globally, Google has prioritized the platform's security and the search giant has made significant progress in protecting its users from PHAs.